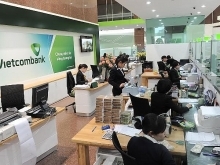 (VEN) - Vietnam’s capital market played a growing role in oiling the wheels of the economy in 2018, decreasing reliance on the banking sector and promising a greatly augmented capital supply for the economy in 2019. According to the annual report compiled by the National Financial Supervisory Commission (NFSC), Vietnam’s M2 money supply - meaning cash and checking deposits, savings deposits, money market securities, and mutual funds - experienced a downward trend in 2018. Vietnam’s M2 money supply relative to gross domestic product (GDP) by the end of 2018 was 168 percent, lower than the average during the 2012-2016 period. Vietnam’s credit growth in 2018 also dropped by an estimated 14-15 percent, compared with 2017. The ratio of bank capital supply fell but was more effective and of better quality. Although Vietnam’s credit growth was lower than the target set for 2018, the country’s economy still expanded by 7.08 percent. According to the NFSC, capital supply from the capital market for the economy based on the actual value in 2018 accounted for 14 percent of the total. Calculated by market capitalization, it accounted for 36.9 percent of total capital supply. Vietnam’s stock market grew strongly, with market capitalization as of December 31, 2018 equivalent to 75 percent of GDP. Strong foreign cash inflows were recorded in 2018, with net purchases of about US$1.9 billion worth of shares. Foreign investors’ portfolios of Vietnamese securities were valued at US$35.3 billion at the end of 2018, an increase of 8.9 percent compared to the end of 2017. Capital supply from the capital market also included about VND40 trillion from the auction of shares and capital divestment. In addition, insurance companies reinvested into the economy in 2018 an estimated total of VND319 trillion, a year-on-year increase of 29 percent. 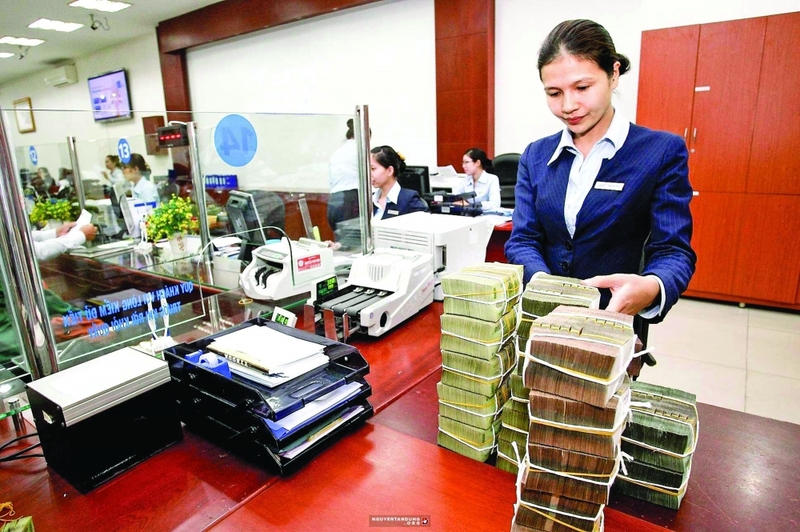 In particular, the government and corporate bond markets accounted for 27 percent and about seven percent of GDP, respectively, while the average trading value of the derivatives market reached about VND9.4 trillion per session since May 2018, with the highest level per session of VND16 trillion. GDP growth for 2019 is forecast to reach seven percent, supported by manufacturing shifts resulting from the US-China trade war and positive effects of trade pacts such as the Comprehensive and Progressive Agreement for Trans-Pacific Partnership (CPTPP) and the European Union-Vietnam Free Trade Agreement (EVFTA). With macroeconomic stability, high economic growth, and prospects for the upgrading of the Vietnamese stock market to emerging market status, Vietnam can safely ensure capital for the economy. Accelerating the state’s divestment from enterprises and their equitization are also expected to bring provide a positive cash flow to the economy. Ministries, departments and agencies have adopted various measures to promote capital divestment and equitization of state-owned enterprises (SOEs). In particular, the State Bank of Vietnam (SBV) has proposed regulations that would make it quicker and easier for foreign investors to buy stakes in SOEs undergoing equitization or capital divestment.